We’ve put together a series of brief video tours of our farm. 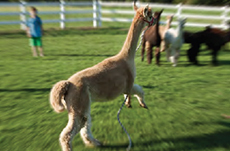 These videos feature a wonderful preview of the alpacas, donkeys, Indian runner ducks, Nigerian dwarf goats and sprawling grounds at Luina Greine, as well as the products available at our farm store. Check out the videos and plan your visit to our farm today! Do you have a video you from your visit that you would like to share? Send us the video or a link and see it here!